The other week I was going through the fridge to see what random ingredients we had hanging around that were quickly approaching their expiry date. I found an open jar of pizza sauce and about 4 ounces of fresh mozzarella cheese. We had ground beef in the freezer and Hawaiian slider rolls were on sale 2 for $5 so there was an extra package of those in the pantry. A dinner was born! 1. Preheat the oven to 350. Line a baking sheet with foil and place a wire rack on top. Spray the rack with non-stick cooking spray. 2. Combine ground beef through pepper together in a large bowl. Form into 12 large meatballs. Make a large indent with your finger and place the mozzarella cheese there. Fold the meat around the cheese to seal within. Repeat with remaining meatballs. 3. Place meatballs on the wire rack and bake for 25 minutes or until cooked through. 4. Meanwhile, warm up the pizza sauce in the microwave or in a small saucepan over low heat. Toast the Hawaiian rolls. 5. 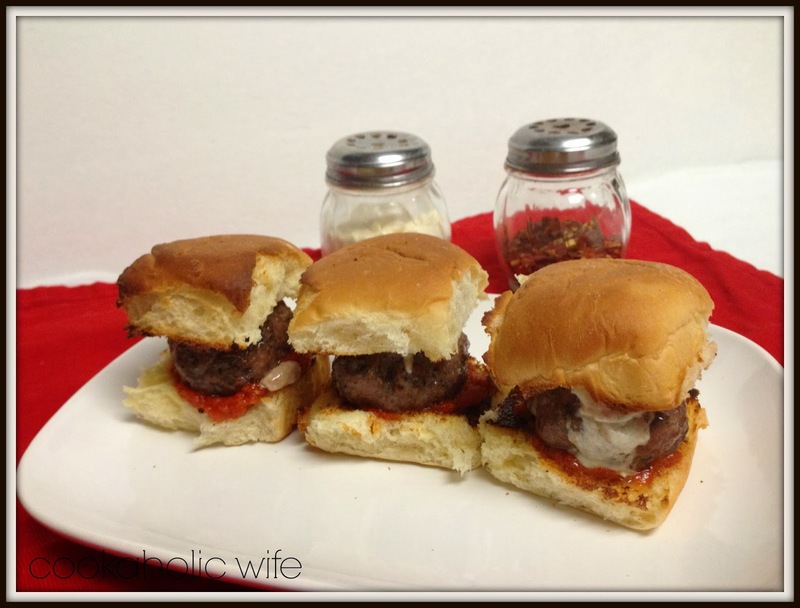 Assemble the sandwich by spreading a little bit of the pizza sauce on the slider roll and topping with a large meatball. Serve hot. For an easy recipe, these were pretty tasty. 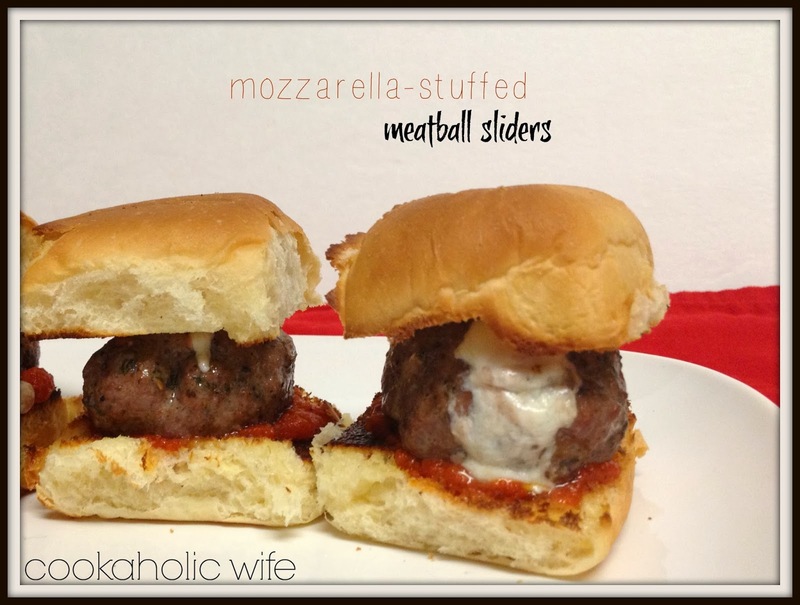 If you aren’t a fan of stuffed meatballs, you could easily make regular meatballs and just melt the mozzarella on top of the slider rolls instead. Or if you’re cheese addict, you could have cheese in the meatball and also melted on the bread.